For the third consecutive year, Darlington’s premier DIY music festival returns. Music Box features 35 acts across six stages with headliners including Cape Cub, Ceiling Demons and Endem. Legitimate Anarchy’s Endem will be headlining the BeatBox stage at Music Box which also features Shakk, 90BRO and Rex Regis. 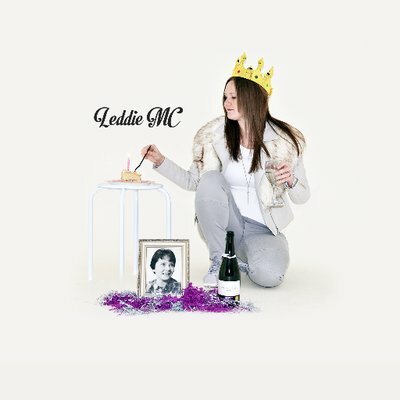 Leddie MC will also be performing on the BeatBox stage at Music Box. The Teesside rapper has been on a hot streak lately evolving as an artist and with a string of shows this Summer is preparing to release new music. We caught up with the ‘A Piece of Cake’ MC about her artistic development, upcoming EP and what to expect from her at Music Box. You’ve been talking on social media about a new set for the run of shows you’ve got coming up starting with Music Box. Can you give us an idea of what we can expect? Yes, Yes, Yes!! I have so much new music and I’m loving mixing it up. I liked my album set, but my new music has developed so much, it feels more and more exciting with every show. The reactions for one of the newer tracks I’m performing has been brilliant, and now I’m focusing on making songs, instead of just rapping over beats, I feel like this new batch of songs can only open more doors for me. You’ve been teasing this EP for what seems like years, what’s the latest? Urghhhhhh, Its actually a demo for a label. I pitched the idea that I’ll make a demo to see whether they’re interested in working with me (they are) but the whole thing needs to be rerecorded in a professional studio but I’m tempted to release this myself and have them release the next, which I’m halfway through already. If someone is going to Music Box but has never heard your music, what would you recommend as a good starting point? Just turn up, really. Come without any preconceptions and lower your standards. I love seeing new faces, I love seeing surprised looks and turning heads of new fans as well as familiar faces. I like to talk in between tracks and my sets always filled with dark humour. Plus the beats are good, ya can’t fall off really. 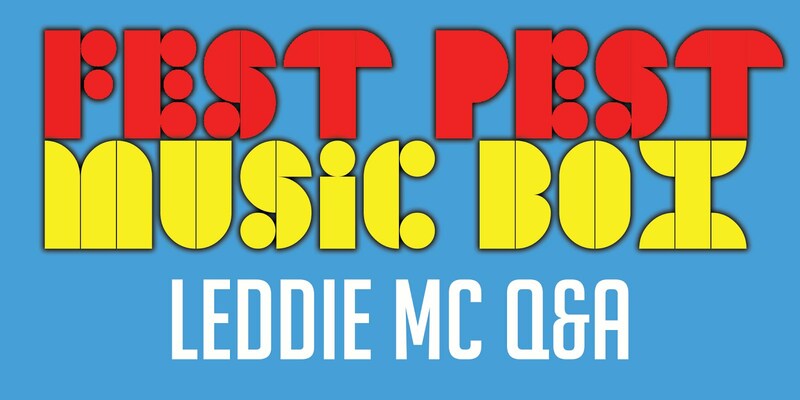 Who else is performing on the BeatBox stage that you’re excited to catch? I’m looking forward to the whole line up as I haven’t seen the majority perform live yet, so it’ll be refreshing. Are there any acts performing on another stage that you want to see? I’ve had my head in the shed in regards to other stages. I’m sorry, planning a wedding, working full time, keeping fit and writing and recording new music is taking its toll but I’ll hopefully be having a little mooch around on the day to discover new music! Posted in UncategorizedTagged Leddie MCBookmark the permalink.